The issue of how to delete songs from iTunes is necessary for you to deal with when you do not like a song or album in iTunes. The process is actually simple to handle, and this guidance will show you three methods to make it. iTunes can save some songs, movies or other files for you, which is a good tool to back up files as well. It can also be used as a good music player on computer. You may be fed up with some songs after you have listened to them for a period of time. In this case, you may want to solve how to delete music from iTunes. In order to deal with this problem manually, you can check out the detailed steps shown below for you to refer to. 1. Open iTunes on your computer and make sure it is the latest version. 2. Tap on the “Music” option in the upper-right corner and then click on the tab of “My Music”. 3. Find the song, songs or album you want to remove from iTunes. 4. 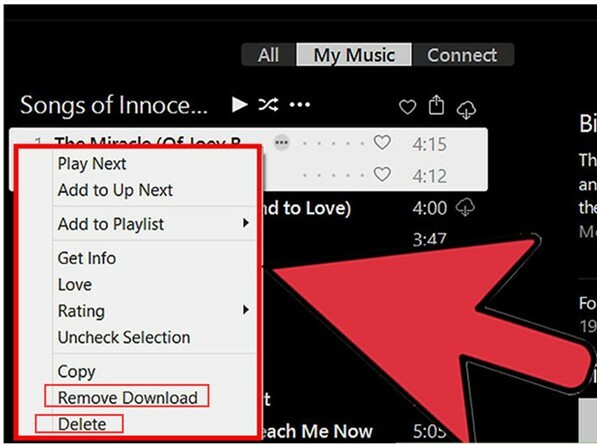 Right-click on the chosen music, and then choose “Remove Download” to delete purchased local songs. The song items will be kept in your iCloud Music Library if you use this function. 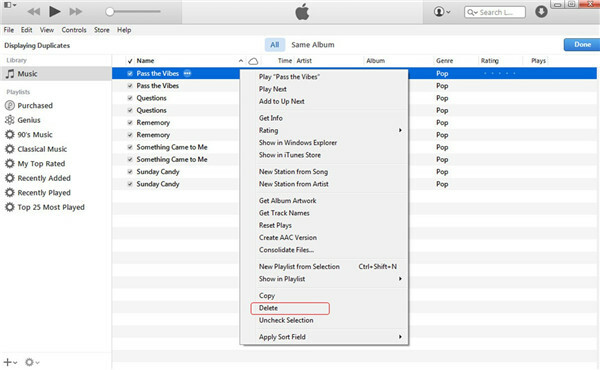 You can also choose the “Delete” button in the drop-down menu to delete iTunes songs. This method to cope with how to delete music from iTunes is quite easy. You can have a try to help you. You can choose “Remove Download” or “Delete” according to your needs. After that, you can save more new songs that you like to enjoy in iTunes. If there are some duplicate songs in iTunes, you may listen to the same song for more than once. This is a bit annoying sometimes. In order to resolve how to delete duplicates in iTunes, you can read the contents shown below. 1. Run iTunes on computer and ensure it is the latest version. Click on the “Music” panel in the left sidebar. And then you need to tap the “View” button in the toolbar and then choose the option of “Show Duplicate Items” to click on. 2. The duplicate songs will shown in the right part of the interface. Choose the duplicate item that you want to remove from iTunes and right-click on it. After that, click on the “Delete” button in the menu. 3. Click on “Done” button after you delete the duplicate song. You need to repeat the same deleting step until you remove all the duplicate songs. After you deal with how to delete duplicates in iTunes completely, you can listen to iTunes songs happily and at ease. 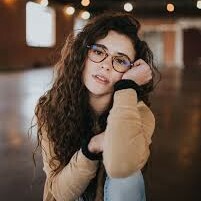 There is no need for you to worry about listening to the same songs once and once again. iTunes sometimes can be hard to handle, you should grasp more using tips and tricks about iTunes. If you want to use a more professional tool to help you to address the issue of how to delete duplicates in iTunes, Leawo Tunes Cleaner will be your best choice. This program is also useful for fixing the music tags. With the cleaning up of this software, your music files will become tidy and well-organized in iTunes or other music folders. Its two scanning modes are powerful, whose interface is quite user-friendly. 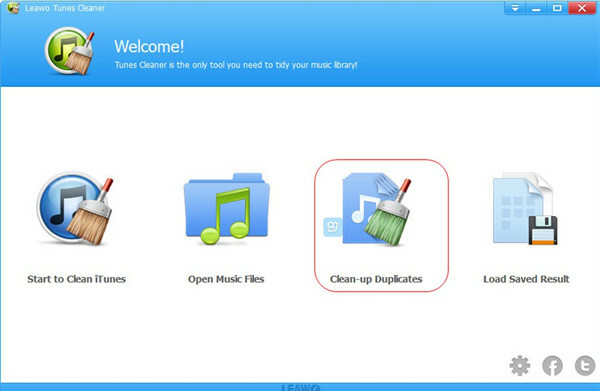 Now let’s begin to have a look at how to delete duplicates in iTunes with Leawo Tunes Cleaner in detail. On your computer download and install Leawo Tunes Cleaner. Run it and you will see several options in the main interface, including “Start to Clean iTunes”, “Open Music Files”, “Clean-up Duplicates” and “Load Saved Result”. You need to select the option of “Clean-up Duplicates” to begin to solve how to delete duplicates in iTunes. 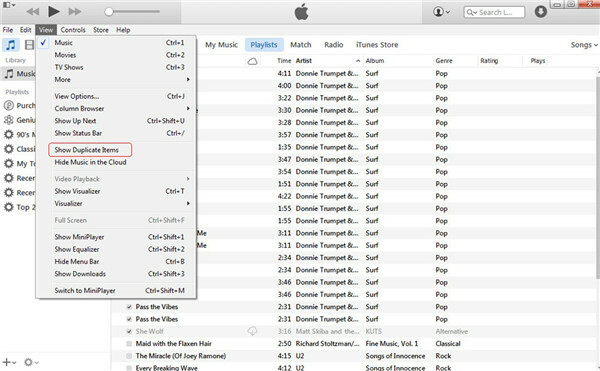 Click on the button of “Scan iTunes” at the left bottom of the interface and the program will begin to scan the iTunes Music Library right away. The software will display all the duplicated items in the interface, and you can also view some detailed information of the duplicate songs, like the name, size, bitrate, time and path. After that, you need to tap on the button of “Remove” at the top right of the window. 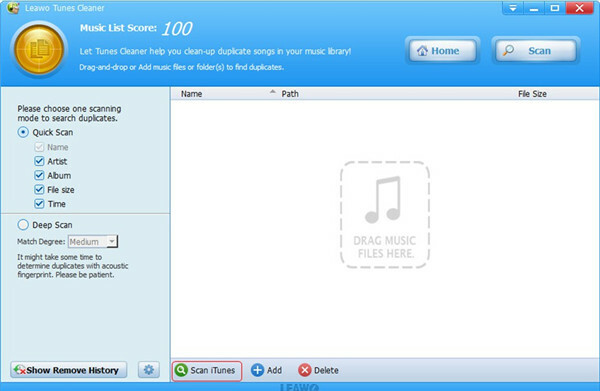 Thus, the program will delete duplicate songs automatically immediately. In a few seconds, your iTunes duplicate songs will disappear. With the assistance of Leawo Tunes Cleaner, you can settle how to delete duplicates in iTunes with several clicks. Have a try with it and you will know how amazing its functions are.